The Gaslight Anthem played outdoors at the Stone Pony Summer Stage on a beautiful evening at the Jersey Shore. While more than five million viewers opted instead to sit at home and catch MTV’s Jersey Shore, three thousand lucky attendees instead chose life and witnessed integrity in the form of a hardworking rock band from New Jersey rewarding their longtime fans with a near two-hour performance that incorporated songs from all four of the band’s releases. 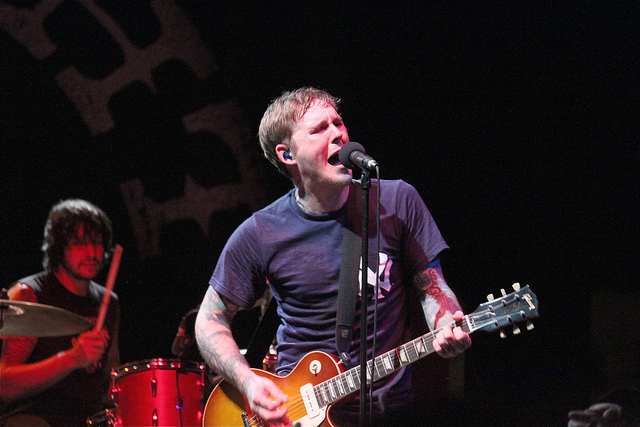 Walking out to Jay-Z’s “Empire State of Mind” (and wearing a blue Derek Jeter shirt), frontman Brian Fallon quickly remarked to the crowd that they should all scream “Jersey” over “York” during the song’s Alicia Keys-sung chorus. Indeed, this show was about New Jersey: it marked the band’s first performance in their home state since releasing American Slang, one of the best albums of 2010 thus far. The Gaslight Anthem kicked things off with a few cuts from that album, including the remarkably catchy title track and “Boxer”, both songs making their way through the airwaves on any rock-format radio stations that haven’t yet closed their doors. “Blue Jeans & White T-Shirts” was a special cut this evening, with Fallon commenting that even as the band gets to tour all over the world, they still take a piece of their Jersey home with them in the form of this song. Fans hung onto Fallon’s every word, and before jumping into the song he remarked that “at 33 RPM, life ain’t so bad.” Acknowledging the nearby Cookman Avenue, only recently renovated into a desirable living area, Fallon changed up the song’s final lyrics: “Someday I’ll buy you that house on Cookman — if they don’t keep raising the rents so high”. 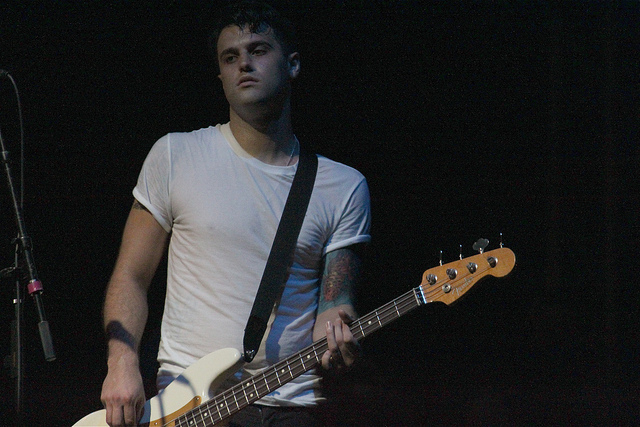 Sink or Swim‘s “Angry Johnny and the Radio” received unique treatment, as well, with an extended introduction and Fallon injecting bits and pieces of Brand New’s “Jesus” into the song’s bridge. The band only just released American Slang, so the biggest treats of the evening were the nine cuts (only “We Did it When We Were Young” was absent) from that album. “The Spirit of Jazz” and “Old Haunts” sounded right at home next to old favorites like “The ’59 Sound” and “We Came to Dance”, a funny point to consider when The Gaslight Anthem are barely five years old. Some cuts prior to American Slang were introduced as “old songs”, but the tracks were only released as far back as summer 2007. The songs aren’t old at all — they’re just tired from the band’s relentless touring in the tricounty area. 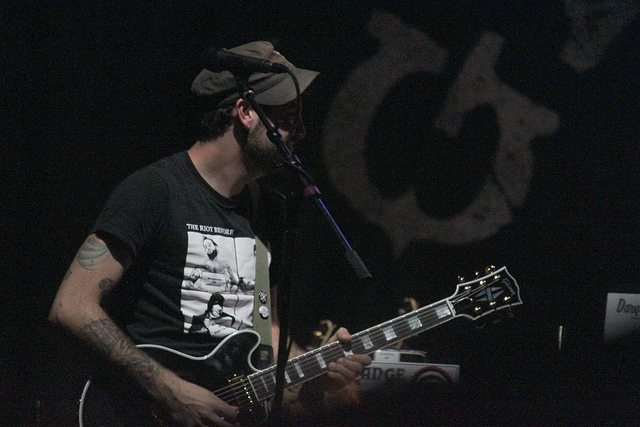 Some of those songs included “Red in the Morning”, a song Fallon describes as vocally influenced by the California punk quintet The Bronx. The Gaslight Anthem successfully perform so much new and “old” material in one evening by playing extended sets: few acts perform twenty-six song setlists. Even fewer bands barely five years old perform more than twenty in a night. 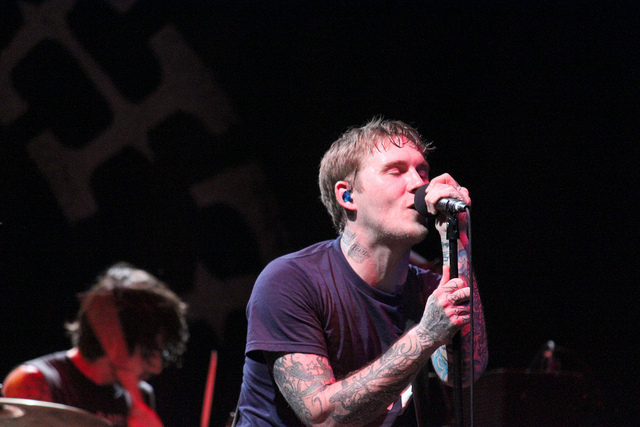 The Gaslight Anthem’s dedication to their live show helps lift them well above their peers; this was no clearer than on the stellar performance of “Great Expectations” that closed the first part of their set. Against Asbury Park’s noise ordinances, the band returned for a five-song encore. Originally planning to cut some of the songs to obey curfew, Fallon announced that the band had been given special permission by the venue to continue on as planned. “Here’s Lookin’ at You, Kid” was a fine way to to wind down the evening, leading right into “The Backseat” wrapping things up in the same manner as it does on The ’59 Sound. It’s hard to ask for more in a setlist — the band has written just under forty songs to date and performed twenty-six of them in one night. Crisp guitars and rock-solid rhythms provided the backdrop for Fallon’s luscious storytelling, told through a bold, gritty alto; the quartet connects with the crowd in and out of each song. The band’s connection with the crowd isn’t superficial. The Gaslight Anthem don’t write stories about adolescent life in New Jersey, they recount them with a brazen wisdom that demands a closer listen. You are currently browsing the archives for the Stone Pony category.